Missing Shingles? Possible Hail Or Wind Damage? Contact us today! We are your Local and Most Trusted Roofing Contractor in North Carolina also offering gutter services with no payment for our work until it is completed to YOUR FULL SATISFACTION. Owens Corning has honored us as one of their top-tier contractors. If your home has suffered a storm, the first thing you should check is the roof. Your roof is the main feature that stands between your family and the elements, so it's important to keep on top of maintenance, repairs, and roof replacement if necessary! 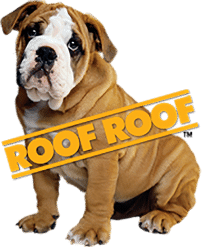 RoofRoof has over 20 years of experience providing home and business owners with exceptional roofing and gutter services throughout North Carolina. Our three office locations in Charlotte, Raleigh, and Greenville allow us to best serve all of our customers, giving them all of the resources they need for safer, drier homes. Browse our site to discover more about our services, or contact us today to schedule a free estimate! We serve residential and commercial customers in Charlotte, Concord, Rock Hill and areas nearby. Whether your roof just needs a bit of patching up, if it was severely damaged in a storm, or if you're looking to update your home's appearance with a new roof, RoofRoof has the roofing answers you need. We use high quality materials on every roof that are sure to match your home and neighborhood! 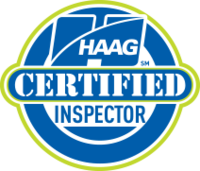 If you're concerned about the state of your roof, acting fast is key. The longer you wait, the more time you give further problems to develop. Ultimately, you'll end up spending a lot more time and money than probably would have been needed in the first place. The experts at RoofRoof can efficiently and effectively discover and fix any roofing or gutter issues you might have. Ready to get started? We offer our roofing services to home and business owners in Concord, Charlotte, Rock Hill, Kannapolis, Huntersville, Mooresville, Indian Trail, Matthews, Cornelius, Monroe, and surrounding cities. Call us at 1-704-333-5450 or contact us online to schedule a free estimate today!